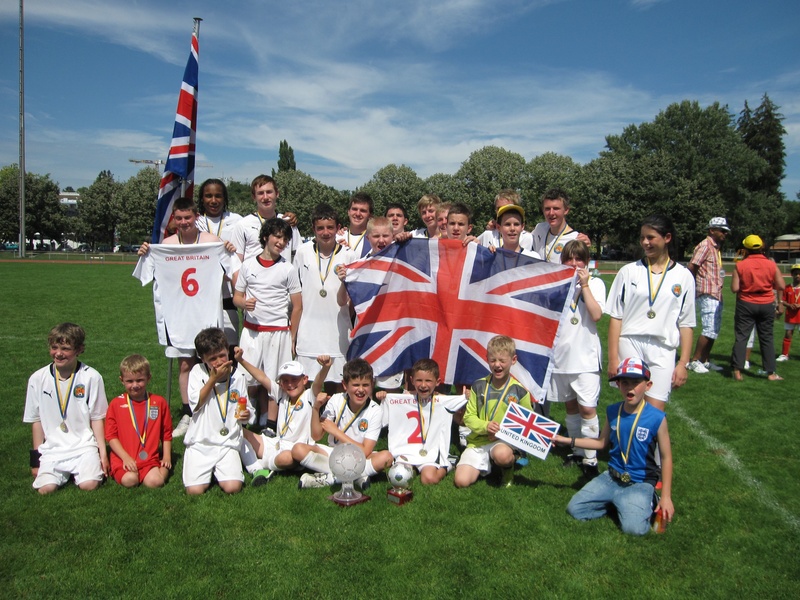 Take 24 children and teenagers with type 1, bundle them on a flight to Geneva, expose them to two days of partying, blazing sunshine, competitive football and weird Swiss food, and what do you get? Surprisingly, not one case of emergency medical repatriation – but a super-successful international tournament and (the bit you really won’t believe) a championship-winning performance from a GB soccer team. The Diabetes Junior Cup is the brainchild of Medtronic, insulin-pump makers to the stars, who hosted over 230 young people with diabetes, from 15 European countries and the USA, at a weekend footie fest on the shores of Lake Geneva. 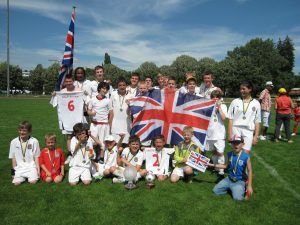 Great Britain fielded three teams – 22 boys and two girls, aged six to 17 – all selected by JDRF, the event’s partner charity in the UK, which has since denied that it’s offering consultancy services to Fabio Capello. They travelled with an entourage of family and medics in true Premiership style – which could be the shape of things to come for the four players who are already signed up to professional academies. The tournament had all the hallmarks of a top international affair – silky skills, saved penalties, hand-of-God goals, bizarre refereeing, etc etc – except that sinking feeling of despair at the end. 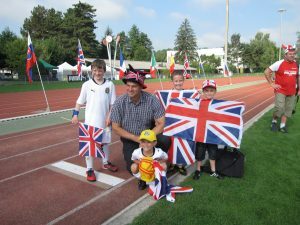 That’s because the Great Britain Junior Team (aged 11 to 14) won their group, the Senior Team (15 to 17) were just beaten in the final by some giant Slovakians, and the Kids’ Team (aged six to nine, cute but ferocious as ferrets) came a creditable fourth in their group. As if the football, the fireworks, the lake cruise, the barbecue and Medtronic’s furry mascot Lenny weren’t enough, the arrival of Olympic rowing hero Sir Steve Redgrave was a fantastic surprise. Chelsea fan Sir Steve (well, no one’s perfect) spent the day with the GB teams and told them that their diabetes needn’t stop them following their dreams as he had done. That sounds great Christine, I’m so jealous it didn’t exist when I was little, I was hopeless at football but would have made an effort for a trip to Switzerland! Well you know, what goes on on tour, stays on tour… let’s leave the cheating to the professionals. Apart from an incident where a French dad had to be separated from the ref over a penalty shoot-out, conduct was exemplary throughout. And the kids were pretty well-behaved too. I can’t believe I missed the incident with the French dad!! !